Flying to a whole host of destinations across the globe, Virgin Atlantic is synonymous with style and comfort. And with Virgin Atlantic's partnership with Delta Air Lines, you can discover more of the USA with more flights to the US destinations that you want to go to. 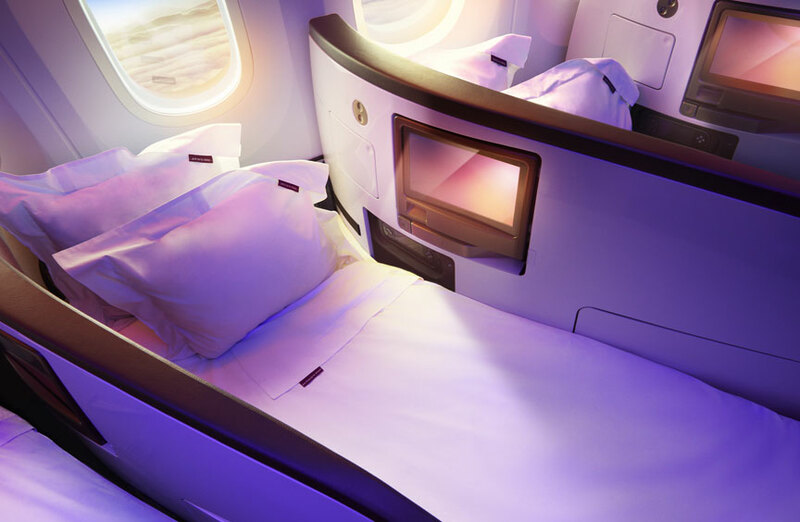 Wherever it is in the world you’re heading to, whether its Australia, Antigua or Africa, you can be sure that Virgin Atlantic will provide a fantastic service. Sit next to those you love... not loath and relax in the knowledge that your seat is confirmed before you travel. 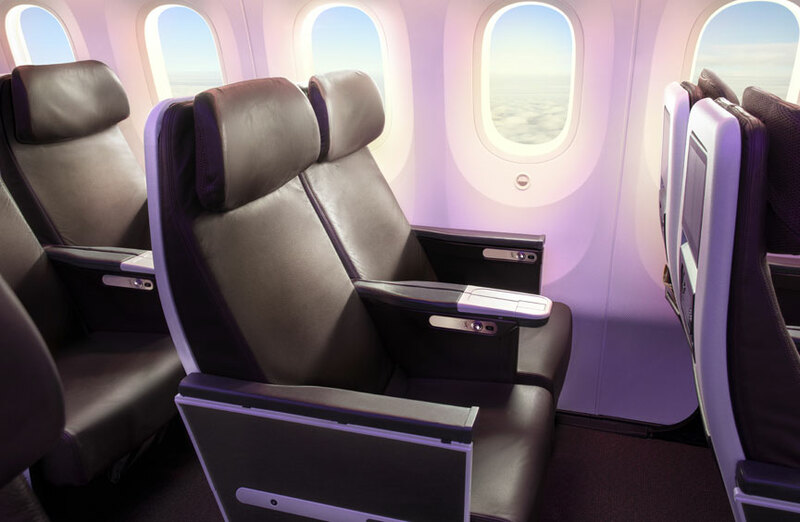 Upgrade to Premium seating and enjoy the added extras. Where every detail is taken care of - book Upper Class and experience the next level of luxury. Passengers can check in online 24 hours before their flight. By checking in online you can view, change and choose your seat (if applicable on the aircraft), add baggage and select your meal. You can also check in via your mobile phone. The mobile version of the site works on all smartphones with an internet connection allowing you to check in anywhere between 24 hours and 2 hours beforehand. The mobile site includes a seat map and seat selection, and allows you to manage your booking, reserve seats, check your flight status and keep track of your flying club account. If you are checking in at the airport, it is advised that you arrive at least 2 hours before your flight. There is also self-service check in kiosks in all UK airports and a number of US airports, along with exclusive check-in desks for Upper Class passengers. Those travelling from Manchester, London Gatwick, London Heathrow, Glasgow, Edinburgh, Aberdeen, Dubai, Narita & Johannesburg, can download a boarding pass to their mobile phone. This will allow you to use it at all touch points, easing your journey through the airport. The information above is subject to change at any time, therefore we recommend you also check with the Airline directly prior to travelling. 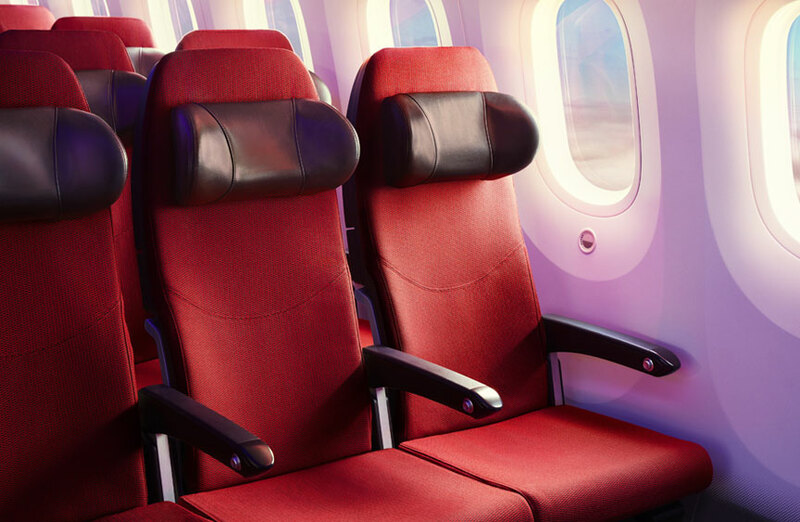 No matter what cabin class you fly in, Virgin offer air miles on all flights. Economy passengers will earn 100% of miles travelled, while Flying Club Silver members earn a bonus of 25% of miles flown, and Gold Flying Club members earn an additional 50% of miles. Virgin has alliances with the following airlines: Air China, Air New Zealand, All Nippon Airways, Cyprus Airways, Delta Air Lines, Gulf Air, Hawaiian Air, Jet Airways, Malaysia Airlines, Scandinavian Airlines, Singapore Airlines, South African Airways, U.S. Airways, Virgin America, and Virgin Australia. The information above is subject to change at any time, therefore we recommend you also check with the Airline directly prior to travelling. There are no special fares for senior citizens on Virgin Atlantic flights, but children are charged about 75 per cent of the adult fare while the infant fare is 10 per cent of the adult fare. Cots are available for those passengers travelling with babies, but these must be booked before flying. Unaccompanied minors may fly on Virgin Atlantic providing that they are between the ages of 5 and 15. If you are flying with the kids, why not check out or family holiday ideas or look by age. Virgin Atlantic offers a range of services for disabled passengers, including assistance at the airport, transportation of wheelchairs and on-board assistance. Disabled passengers should contact the airline at least 48 hours before departure to arrange any additional serviced needed. Virgin Atlantic now permits the carriage of Assistance Dogs within the aircraft cabin on the following routes: JFK (New York), Newark (New Jersey), Washington DC, Boston, Miami, Orlando, Los Angeles, Chicago, San Francisco, Las Vegas, Antigua, Barbado, Dubai, Hong Kong, Sydney, Tobago and Tokyo. *Available on all night flights. **Free WiFi available on selected flights. The above prices are guidelines only and are correct at the time of publishing. Subject to availability. Other travel dates are available, supplements may apply. Please use the search box or call for details. For more information please read our Pricing Terms and Conditions.